Our words have the power to create profound healing or incredible suffering. Yet even with the best intentions, it is often difficult to express ourselves in ways that build harmony and trust. 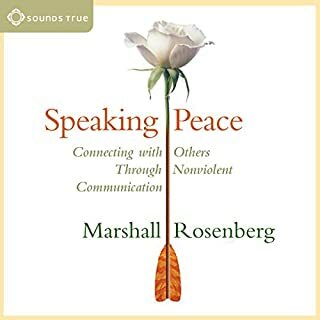 Speaking Peace presents a seminal four-part model you can use immediately to connect to the spirit of love and generosity within you and start contributing to the well-being of everyone you relate to. P.E.T. began over 45 years ago as the first national parent-training program to teach parents how to communicate more effectively with kids and offer step-by-step advice to resolving family conflict so everybody wins. This beloved classic is the most studied, highly-praised, and proven parenting program in the world -and it will for you. The basic strategy we use for raising children, teaching students, and managing workers can be summarized in six words: Do this and you'll get that. We dangle goodies (from candy bars to sales commissions) in front of people in much the same way we train the family pet. Every now and then a paradigm shifting book comes along my way. It's that time again. I went into this book a bit sceptical, amused by the cover and its premise, and wondering how the author was going to convince me that 'praise' could be detrimental, and other ridiculous ideas that sound like they come from hippy liberals who are still traumatised by never winning a ribbon on school sports day. It's not what you think though. Kohn methodically and scientifically deconstructs behaviourism's punishments and rewards, and shows how they are counter-productive to the goals of those using them, and ultimately demotivating and detrimental to those 'upon' whom they are used. It’s not at all about making all people ‘the same’, or promoting mediocrity – it’s about focusing people on the long term, and on what really matters, and what actually works. How could rewards be 'bad'? I've always felt the tension, but never known another way. "Kids, clean your room and you'll get a lollipop." It teaches them that cleaning their room is something they wouldn't want to do without a reward, it makes it an obstacle between them and the reward, and it makes them focus on the reward, not the important issue – why you want them to want to have a clean room. Remove "clean room" and insert it with any other task - maths homework, greeting elders, behaving in class, meeting a quota, reading a book, etc., - and switch the reward - A's, praise, raise, stickers, screen time, etc., - and it's the same formula. As he kept saying, "Do this and you'll get that" makes them focus on the 'that', not the 'this'. The natural response here is, "Well, what's the alternative?" Unfortunately (but logically), the solution isn't a quick fix. It's much more involved and holistic. You don't just replace incentive systems with non-incentive systems, or something like that. You need a paradigm shift from focusing on extrinsic motivation to intrinsic motivation, which means more discussion, more understanding, more customisation and collaboration, less manipulation, threats and ultimatums. Kohn does give a lot of practical ideas, and many of them don’t require that the whole world change before you implement them – he suggests ways that you can do it ‘less bad’, rather than 100% perfectly, ie., how you can minimise the negative effects of extrinsic incentives while still working within the system. I appreciated that. On the downside, I thought that Kohn occasionally ignored a few alternatives while trying to universalise an issue, or only took one possible negative interpretation of an action where the reality might be more complex, but these moments were few and I was able to see past them to his research and points and make my own conclusions. It was also difficult (from the audio version) to check his sources and see if he was being selective in the research he used to back his points, but I have enough life experiences of behaviourism to know exactly what he was talking about most of the time. I don’t really need a scientific study to tell me that incentivising my kids for their ‘good’ behaviour teaches them nothing about why they should be ‘good’, other than to get a ‘carrot’. You can’t ‘pay’ them to have a ‘good heart’. This is a book that’s going to stay with me for a while, and will require some more learning and reflection and adjustment. As for narration, Kohn was the best choice for narrating this, even though he sounds a bit like Wallace Shawn ("inconceivable!"). He knew exactly how to deliver his message, with the right warmth, harshness, deliberation and humour. I began this book skeptical of Kohn's thesis. I was going to listen with an open mind, but in a world full of people spending 40 hours or more a week chasing a paycheck, I anticipated to be presented with a half-baked theory that stretched thin evidence past limits of sober credulity sprinkled with powerful -- if not quite believable -- anecdotes. Instead, Kohn makes a compelling case, and if anything, the numerous research citations become tiring. If the reader perseveres, Kohn goes on to describe alternative approaches to parenting, teaching, and leadership. This isn't a page-turning beach read, but Kohn has successfully convinced me that some deeply held beliefs are misguided and pointed the path to a better way. And I'm already seeing some small successes in applying these lessons to my everyday life. I'm very glad I purchased this book. 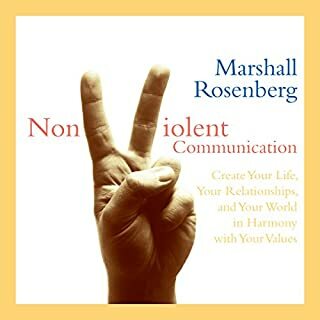 If you are a parent, teacher or manager, this audiobook should be your top priority. i liked the overall idea of the book. i was really interested in particular ways of caring for people in ways that rises their intrinsic motivation and helping them in what they need. I liked the scientific way of talking about behaviorism and control over people and how it affects the overall performance and feelings. I loved the message of this book and the logical arguments laid out by the author. However, it was not the easiest to get through. I almost completely stopped listening 2 or 3 times throughout the book because it felt so dry, even though I knew how revolutionary the message was. I recommend every read this, especially if you’re a worker, parent, employer, or teacher, but be prepared for a slow read at times. Good book. It felt a little too long and, perhaps, repetitive at times. Nevertheless, I'm glad that what needed to be said about the subject was said. The overall approach feels right. Liberal where things concern peoples/children's choices, yet conservative in virtues. We practice peaceful parenting, but never realized that praise can be damaging. One of the most important book for parents there is. The other one is "unconditional parenting" same author. The author does a great job of illustrating why extrinsic motivations such as a a reward or a punishing system will inherently decreaseotivation at the task at hand for the human mind. It is through careful feedback and discussion that you'll be able to establish an environment where employees or developing students will further engage in completing a task or learning a subject. Great book, however more info on ways to increase intrinsic motivation would have been nice. simply fantastic. I swallowed the book over a week. if you care about motivation then please read this. I read the book 7 years ago. I couldn’t agree with and support this approach any more. Rewards & punishments annihilate any chance of humans feeling motivated or moved to do things. A must read. What a fascinating viewpoint on rewards. I was recommended this book and it did not disappoint. It completely changed my vision of childcare and I’ve been eagerly putting his guidance into practice- with exciting results. You suddenly become so aware of the bad habits both parents and employers own! I will certainly use the introspection tools mentioned at the end of each chapter in my day to day life. The book itself conveys a nice balanced ethic, individuals are given the highest respect through treating them as a reason in themselves, and therefore reasoning with them. It is almost an incidental fact that the first half of the book is dedicated to pointing to the huge amount of evidence from both laboratory studies and real-world interventions that show the harms done by rewards; specifically framed in such a way as to be conditional. The manifold harms stem from reducing intrinsic motivation, shifting the locus of control away from the praised person, reducing the passive person's attention to a very narrow single goal orientated view and even worse the reward-giver stands to gain more by yielding unbalanced power over the praised than the praised is likely to gain from receiving the praise. 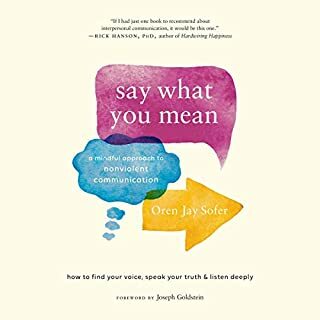 I think this book is a must-read for anybody wanting to encourage and foster mutually respectful and productive relationships with persons of any age (older or younger). As relevant today (2018) as it was then (1993). How sad that the evidence against reward and punishment continues to fall upon deaf ears in western society. Change can be such a slow process. Drip, drip, drip though is better than nothing. Alfie John is a greater narrator. Entertaining, amusing and wise. This is one of those books that confirms a suspicion that you can't quite articulate. I read this after reading one of Alfie Kohn's other books 'Unconditional Parenting', which I absolutely love. When it comes to parenting advice, I have learned to only trust the writings of those authors whose works are backed up by actual research, rather than solely opinion based. Alfie Kohn's books are all meticulously researched and many research studies are cited in the book. You just can't ignore the evidence that punishments and rewards are detrimental to intrinsic motivation, and have no place in the classroom, or home. I am fairly terrified at the prospect of sending my child, who has such a beautiful and natural love of learning, to school, for fear that stupid incentive programmes will gradually destroy this natural urge to learn. 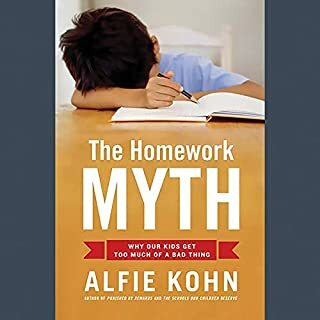 I am seriously considering home education as a result of reading Alfie Kohn's books among many others that address issues around how our education systems are formulated. Having said that it's strongly evidence-based, the book is not at all dry. 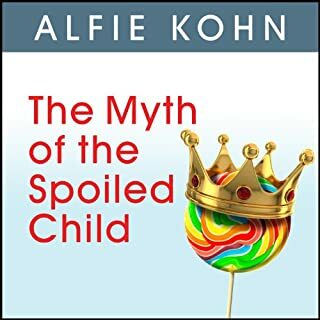 Alfie Kohn has an excellent sense of humour which really comes across and makes this an immensely readable book, anyone who's seen his youtube videos will know this. It's fantastic that the author himself narrates the book as his dryness really comes across. 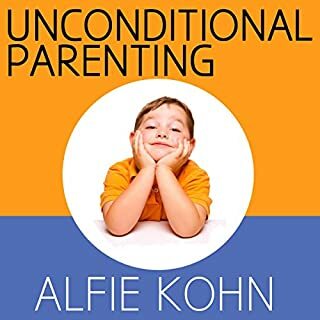 Like 'Unconditional Parenting', I feel this book is a must-read for all parents, teachers and those with an interest in raising children, although its principles are also applied to businesses and organisations. It might be an uncomfortable read for those who have relied on punishments and rewards but it's never too late to change. I was so happy to find this as an audiobook as I have very little time for 'actual reading' but can listen to audiobooks while working. 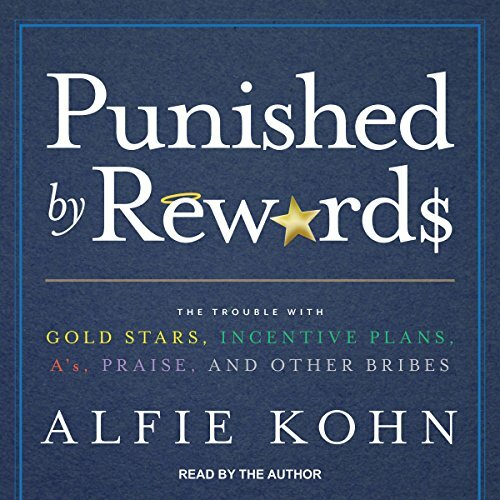 If you have never really questioned the issue or rewards and punishments, Alfie Kohn presents a fresh look at the whole matter that might well change your entire outlook on life. He is likeable to listen to and presents a lot of evidence in a digestible way. I agree with some that it felt a little lengthy at times but I will certainly re-listen to particular chapters. I like that he doesn't pressurise an 'all or nothing' approach and urges the individual to examine their own reasons for thinking or behaving in certain ways. I am a convert and will be listening to more Alfie Kohn books. This is an academic book, with lots of research. If that’s not your thing, you may not enjoy it. However, I believe every person could benefit by reading this book as it contains insightful looks at parenting, teaching and managing. The fact that it has an epilogue with updates is a bonus as well. Thank you Mr Kohn for this wonderful book. Now, implementation is the hurdle!